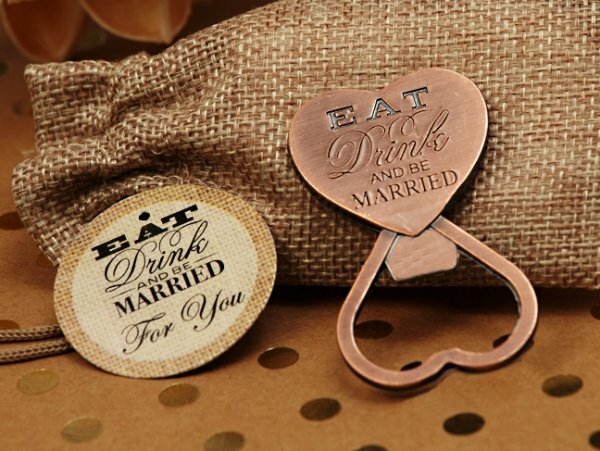 Celebrate your special day with our Cassiani Copper collection, Copper Eat, Drink, Be Married bottle stopper. All your friends and family have gathered to Eat, Drink and Celebrate your special day. 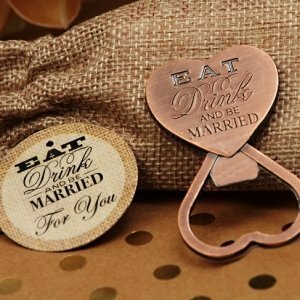 Our vintage design Eat, Drink and be Married elegant copper Bottle opener favor will give that special added touch to your elegant affair. Each measures approximately 2.25" x 1.25"